Convey your gratitude to your clients! 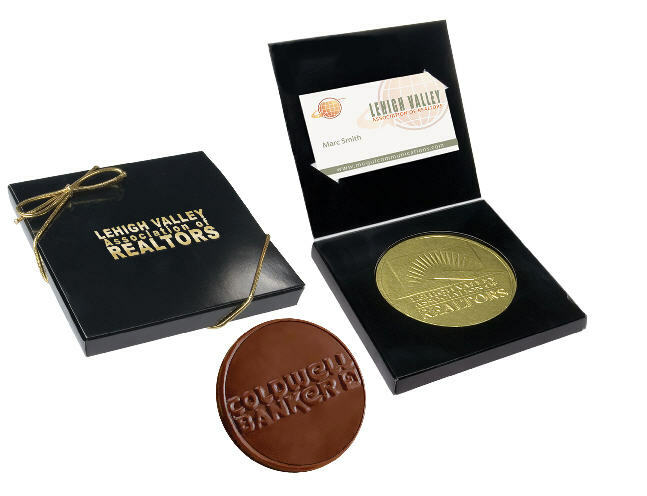 Gift them our large (3”) custom chocolate coin packaged in an elegant Black Flip Top box that comes with a stretch bow. For an extra charge of $1.50 per box, we can add Hot Stamp (gold/silver print) on the lid. Free Setup! We also offer free insertion of your business card in every box. .